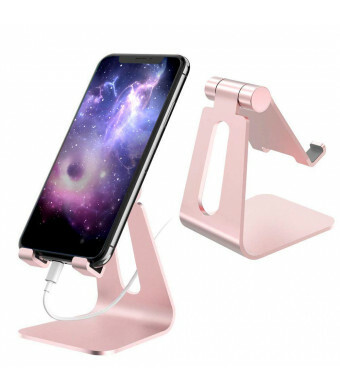 Special Design: MULTI-ANGLE design make cell phone stand possible to be adjusted to your desired angle (270 degree). And compared with other phone stands, the hook of our stands have been widened in order to fit well with the devices in protect case. Universal Compatibility: Stand for cell phone work with all 4 -10-Inch smartphones and e-readers, iPhone Xs Max/ Xs/ XR/ X/ 8 7 6 6s Plus 5 5s SE , Galaxy S9 /S9 Plus/S8 / S7 / S6 / Note9/Note 8, LG, Huawei,LG,IPAD mini, Samsung Tab, Google Nexus, Kindle and so on. Sturdy Construction & Rubbers Pads: Durable aluminum body, with a sturdy construction, can hold your phone steadily. Rubber pads and feet protect your device from scratches and sliding. Smart Lifestyle: Hands-free, make it possible to play games, use Facetime and Youtube while charging. Play a good role in your office, kitchen, nightstand, dining table. Excellence on details: Similar CNC technology as Macbook adopts, you could enjoy the comfortable sense of touch even on the edge. CreaDream Multi-Angle Aluminum desk Stand for Cell Phone & Tablets. Multi-Angle Viewing: you can adjust the stand to your desired angle(270 degree). Humanization Design: Rotating shaft design make the stand can be adjusted to diferent angle.It provides more comfortable using feeling and fits diferent phone and tablet. 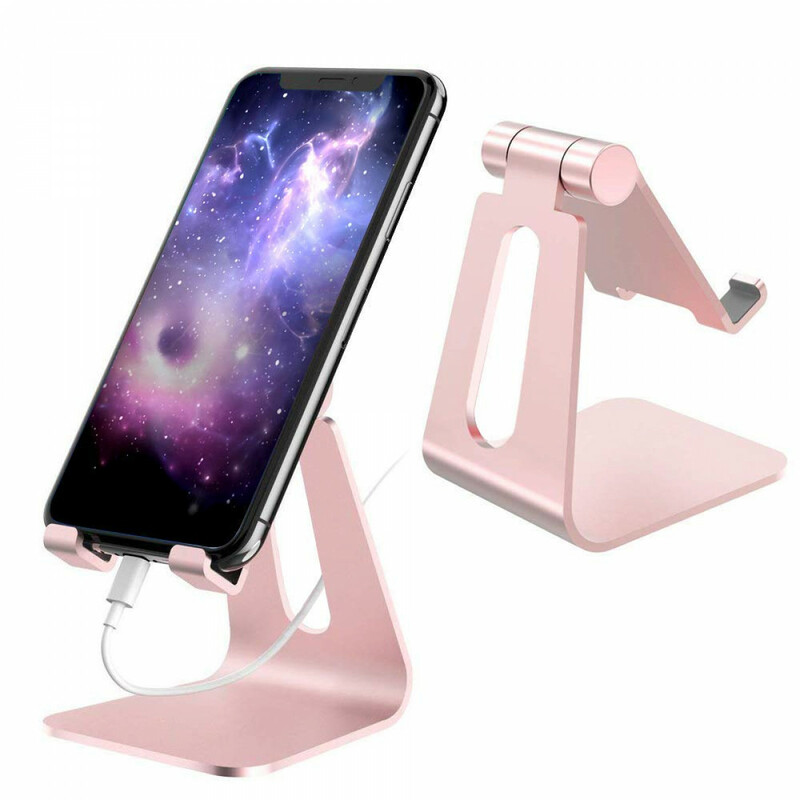 Anti-Slip For Desk: With bottom anti-slip washers, ideal phone desk holder to keep your devices at home, office, school, kitchroom. Portable For Travel: Compact & lightweight phone stand, fits any bags or briefcase, easy taking for traveling. Can be a Gift: For Christmas stocking stuffers, Thanksgiving Day, New Year, back to school, graduation, Father's day, Mother's day, Birthday, party. - Buy with Confidence. We stand behind our product therefore backed by a 30 days No-Hassle Free Replacement/ Refund . - Reply within 12 Hours. So if any questions or unsatisfaction, please do not hesitate to write to us.